The device connects with any remote-controlled in-room AC via infrared, and works in conjunction with a companion app which senses your location to decide whether to turn the AC off or on. You can also use the app to easily change the AC settings. 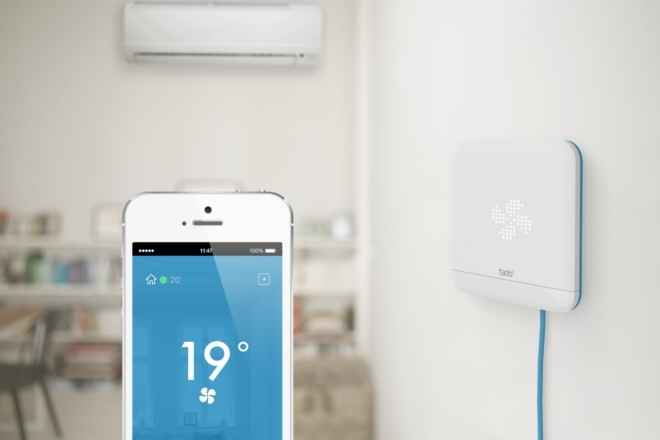 The Smart AC Control packs in several sensors, including temperature, humidity, light, noise, motion, and BLE, however not all of them are being used right now. “The beauty of new connected devices is that they will get better with every update and all existing users will benefit in the same way as new customers,” Christian said.